Fort Worth, Texas (KDAF) --"This is probably the least disabled veteran friendly school in the nation right now," Tawan Throngkumpola told NewsFix. Throngkumpola thought his toughest battles were behind him: three tours of duty, IED explosions, and even homelessness. 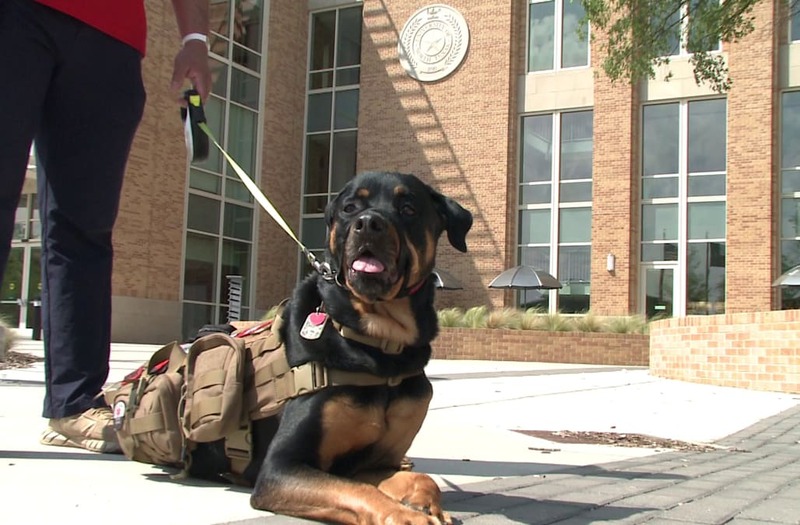 Now, he's being told his service dog isn't allowed on campus at the University of North Texas, where he's a student. "I kept reading, 'We're upholding these actions.' But no reason why," Throngkumpola said. The letter came Friday at 5:01 p.m., closing the door on an appeal of a ruling from November. The original ban for his service dog, Cali, listed five incidents of her being aggressive but not actually harming other people. Throngkumpola says it was out of nowhere, "We got blindsided that day." He tried to address it anyway by getting more training classes for the 7-year-old Rottweiler he calls a medical necessity. She reminds him to take his 20+ pills each day, eases his PTSD-related anxiety, barks when she senses he's in medical distress, and lies on him at night when she thinks he might be about to sleep walk. Now, after not being reported at all since November, he's wondering what happened to second chances. "We made effort to improve, but that's not listed anywhere," explained Throngkumpola. "It's like the University's just made their decision." The letter he got Friday says the case is exhausted and won't be changed. And the University told NewsFix they can't discuss specific students. But Tawan Throngkumpola is far from done, "I will risk my education, career to make sure this will not happen to another disabled veteran or disabled person." He said he'll fight it anyway he can, even if it means going to court.